Great location!! Close to the Core Trail, Hwy 40, and easy access to the MTN. Indian Meadows is a great place for living locally or for that quick weekend. 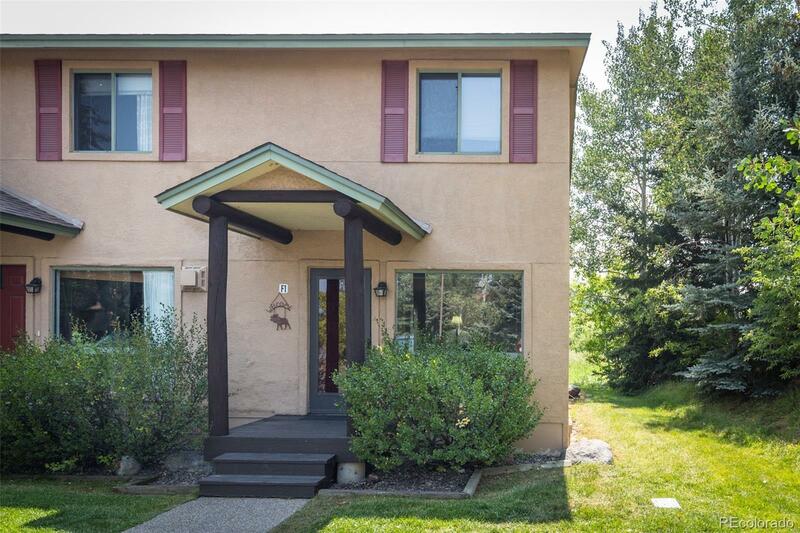 End unit, two bed, One bath, full set of washer/dryer, deck out the back with green space and views of the ski area.